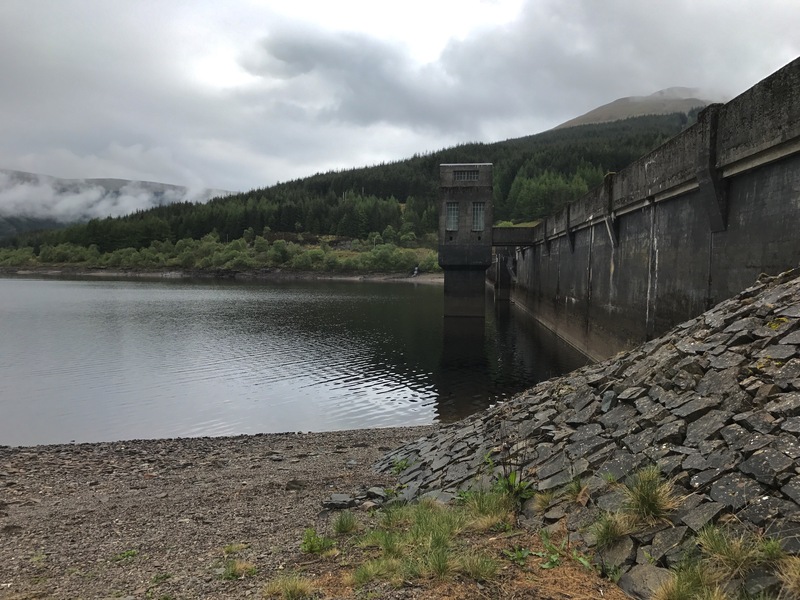 An unplanned route taking full advantage of the low water level at the reservoir allowing the full circuit to be completed. 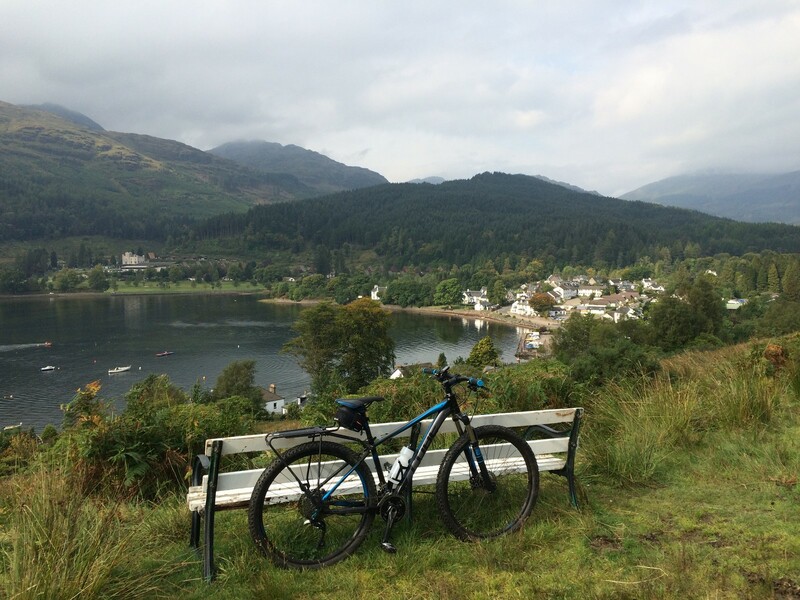 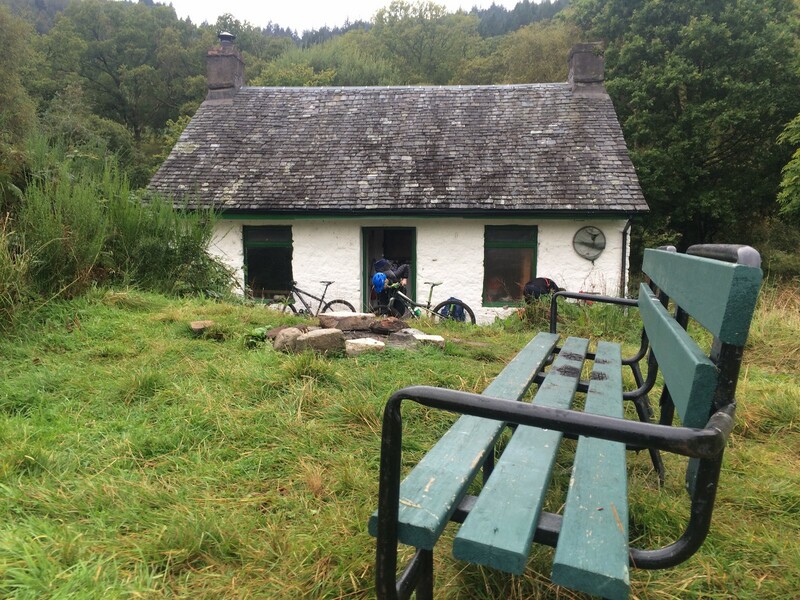 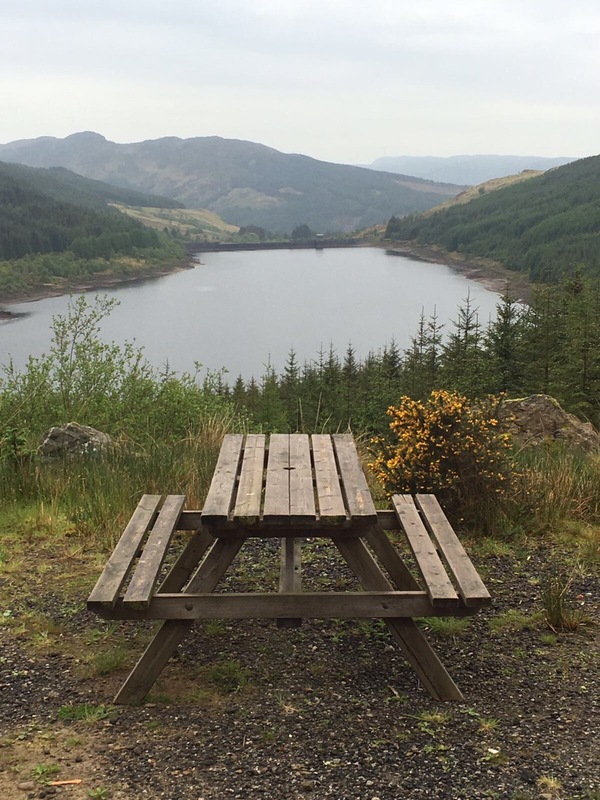 Outward bound on the forestry road that provides views over Loch Tarsan, a picnic bench perfectly placed for a break. 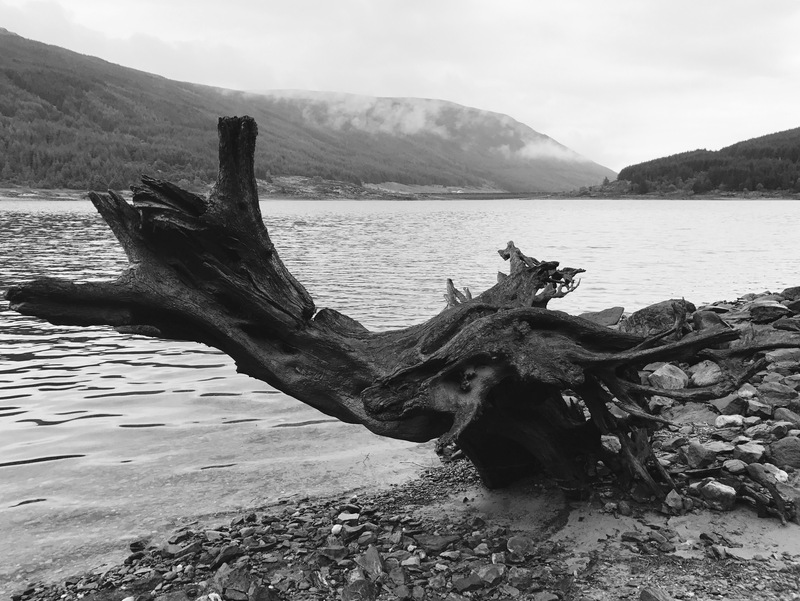 The original plan was to head to the head of the loch and return on the same route. 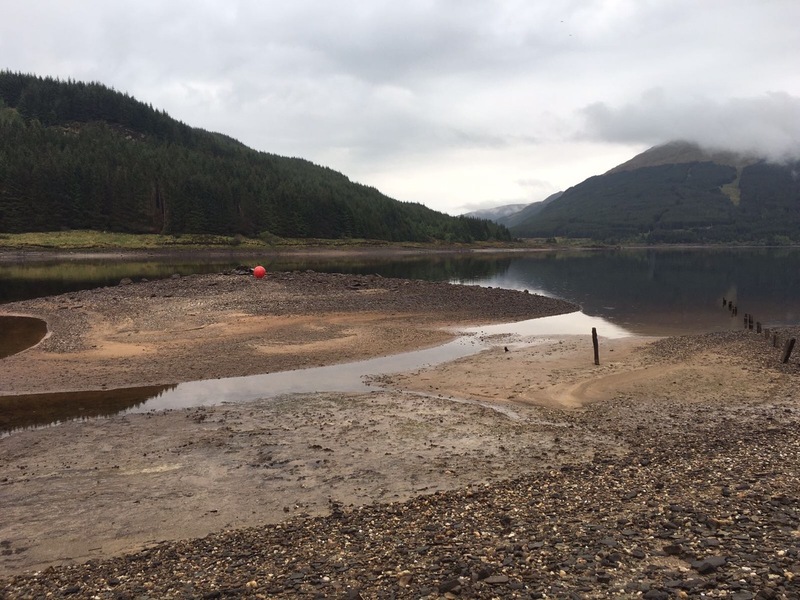 On arrival at the larger than normal shore, the recent prolonged dry spell was evident – the flow from the inlet pipe at minimum in comparison to previous visits. 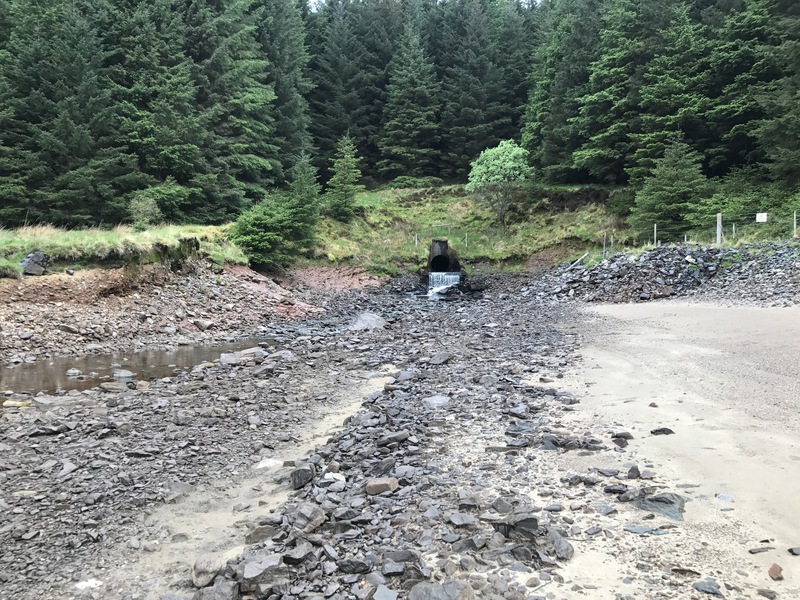 The water line had dropped enough to provide sufficient foreshore to allow progress without the usual restrictions of rocks, vegetation and trees. 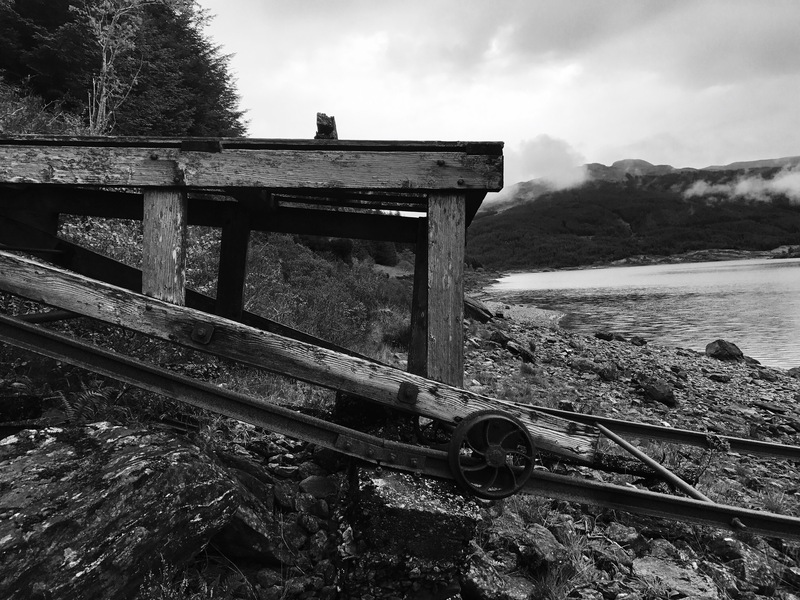 The last remaining parts of the old building on the shore still holding together. 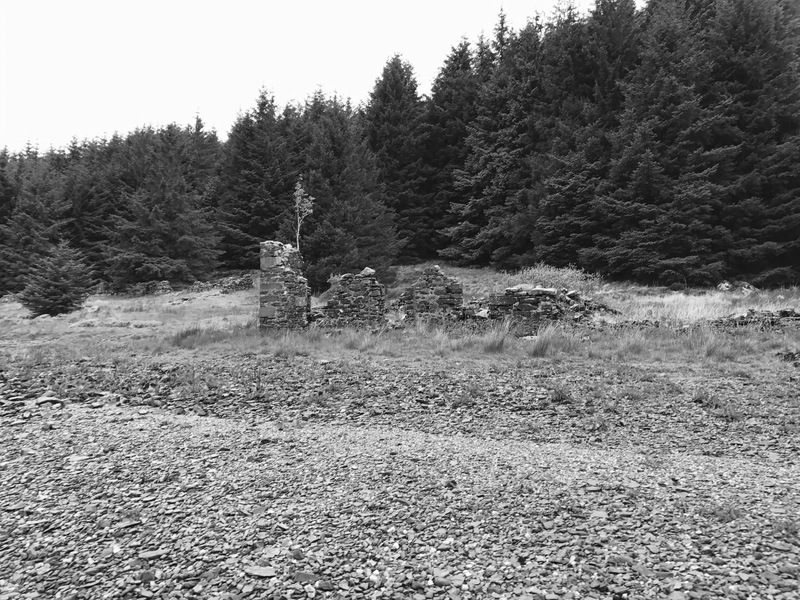 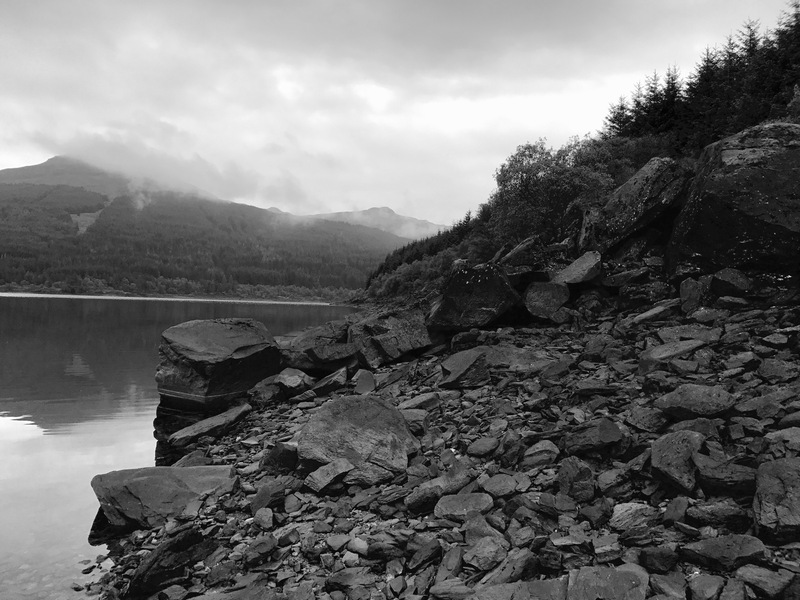 Ground conditions were a mixture of stone,rock,boulders and silt – softer areas could be easily avoided, but the first warning is usually the attempted abduction of footwear. 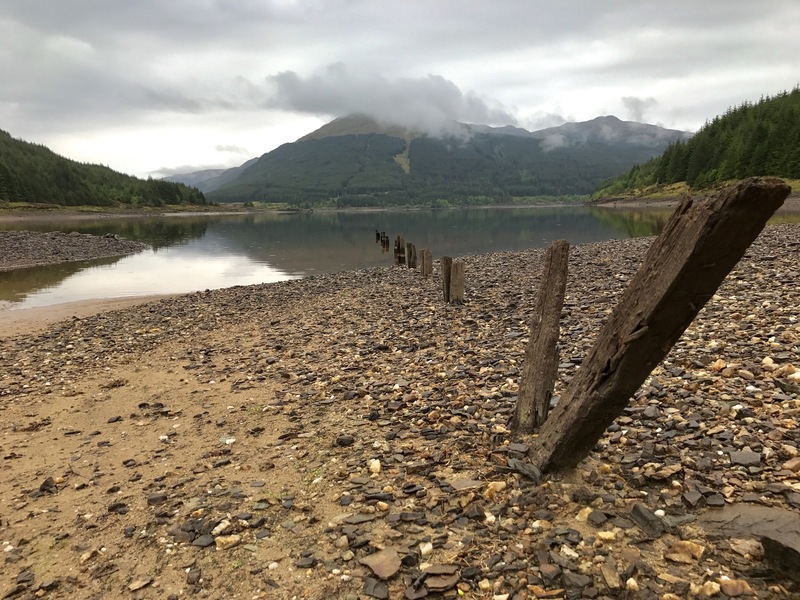 Raised platforms and diminishing fence lines that disappear into the water perhaps signs of the Glen prior to flooding. 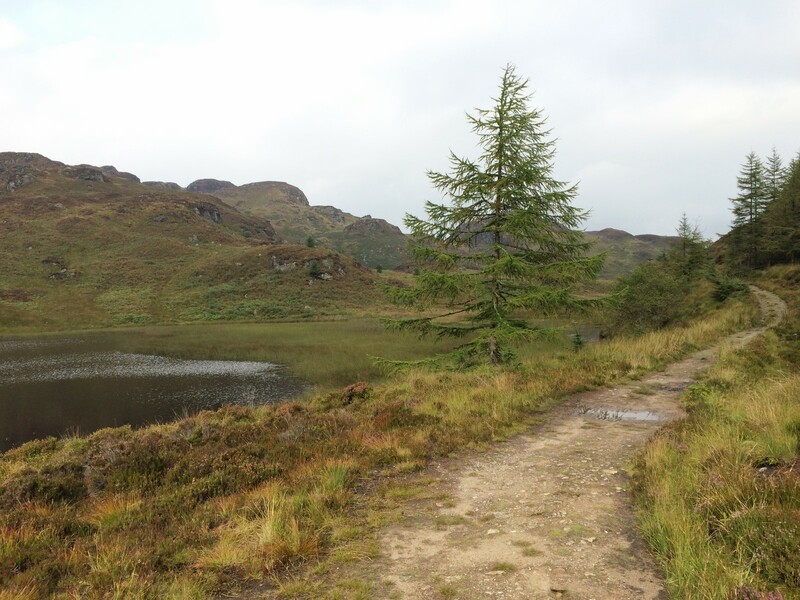 Rugged terrain easily negotiated although 1ft less of water would have made progress easier. 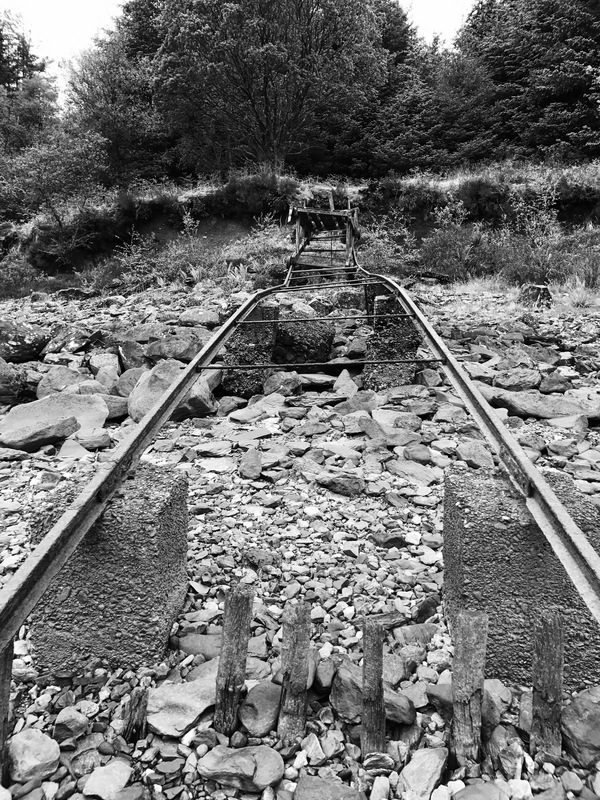 The old boat launch remains. 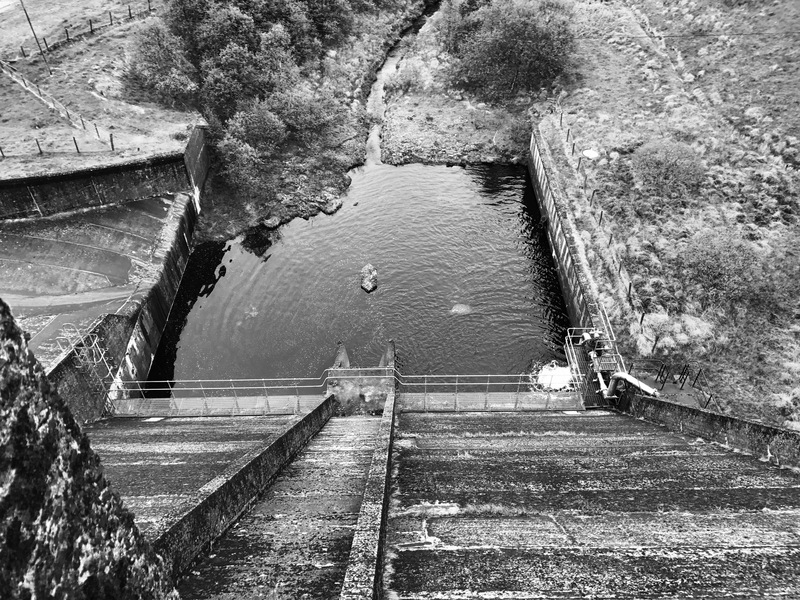 A climb up the bank at the big dam did not pose a problem. 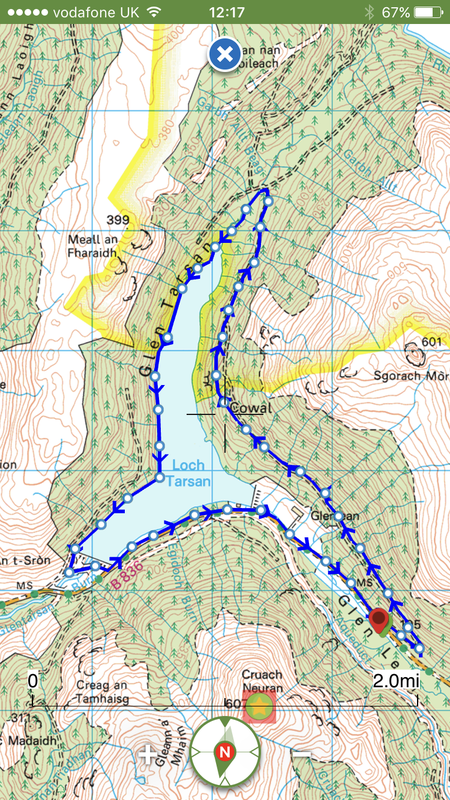 The return to start was via the main road as time was against us on already extended route. 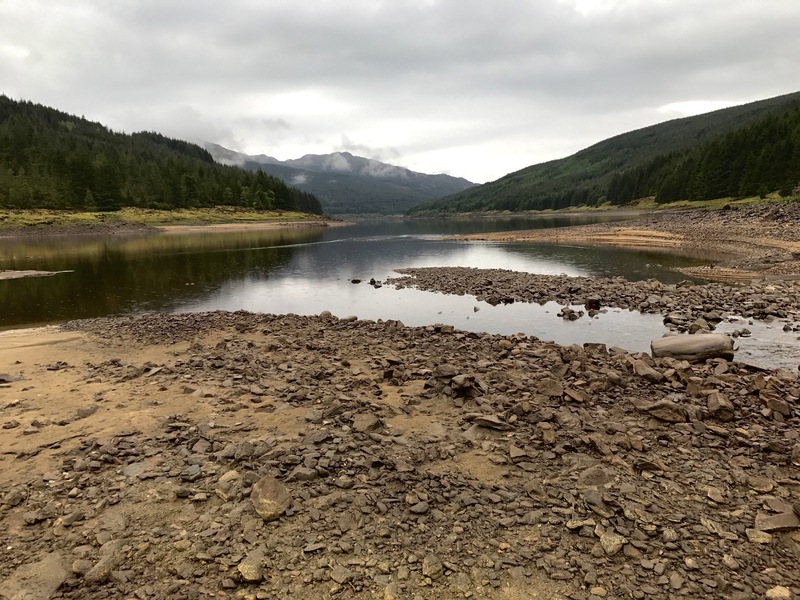 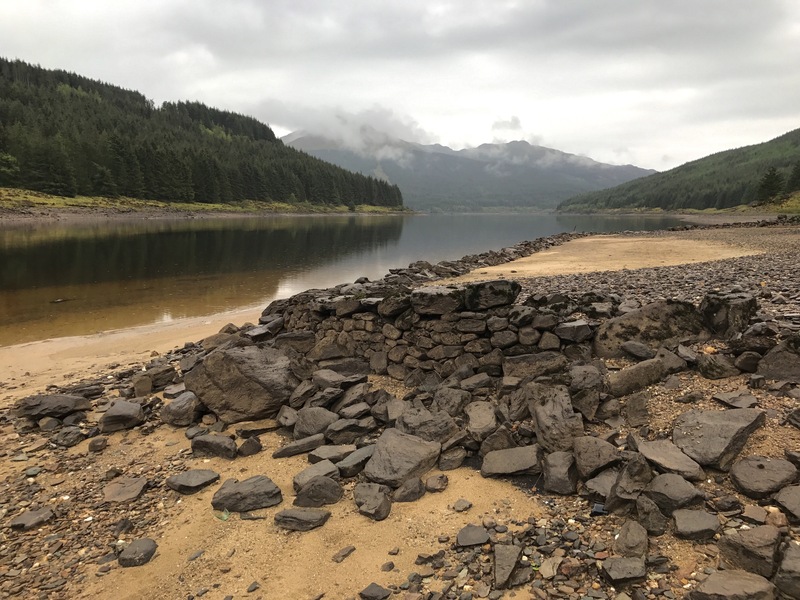 Loch Tarsan; is a freshwater loch and is an impounding reservoir located 13 kilometres Northwest of Dunoon, on the Cowal peninsula in Argyll and Bute, Scotland. 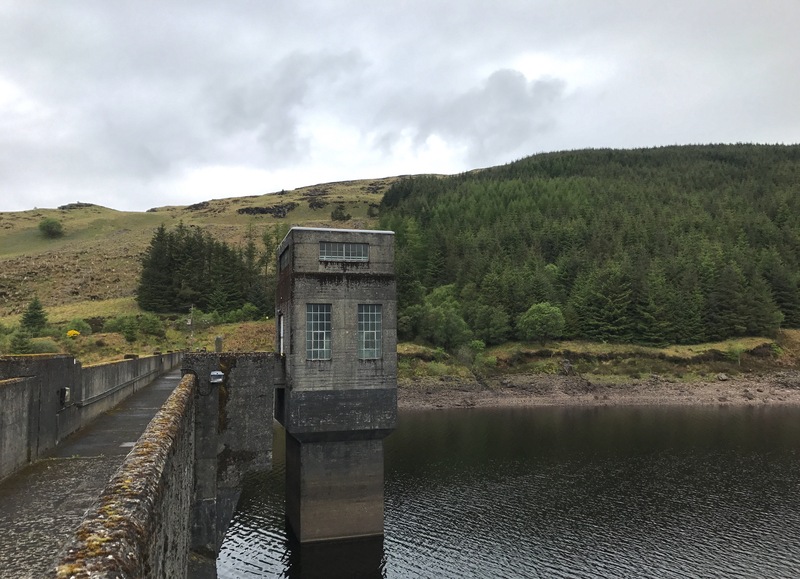 This three-armed Reservoir extends into both Glen Tarsan and Glen Lean. 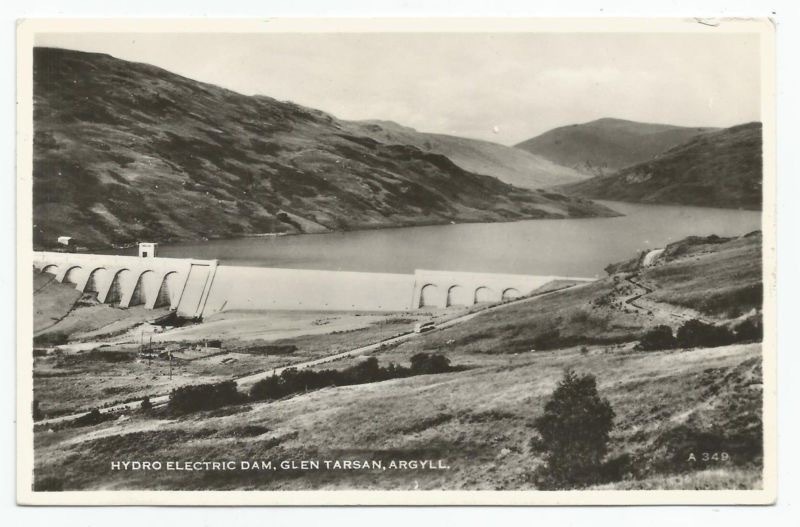 It supplies water to the Striven Hydro-Electric Scheme (also known as the Cowal Hydro-Electric Power Scheme). 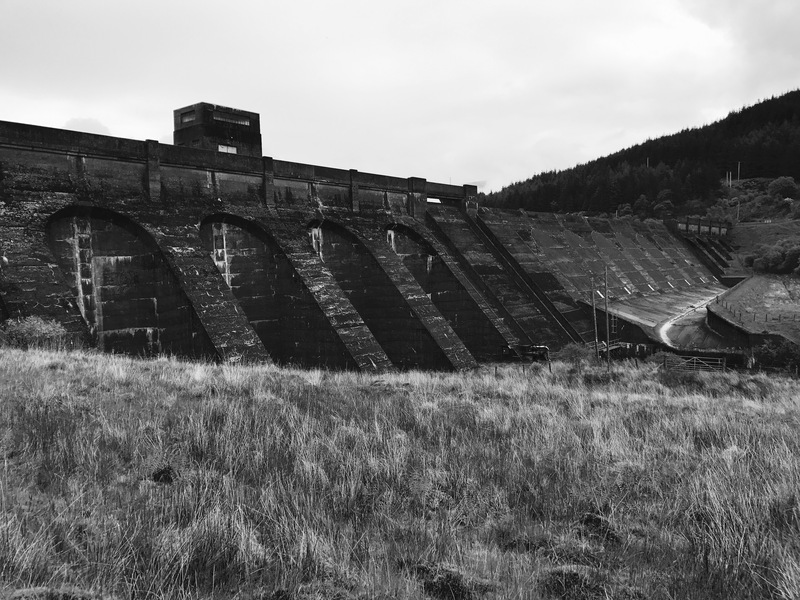 The larger of the two dams is 17.6 metres high and was completed in 1953.